Attorney General Jeff Sessions is starting off on the right foot as Attorney General after requesting Obama’s U.S. Attorneys to step down. It’s a damn smart move. However, predictably, the Liberal Media went crazy, stating this is an affront to everything everyone holds dear. The problem is: Firing U.S. Attorneys is a terribly NORMAL move. See the pure excitement on their faces? 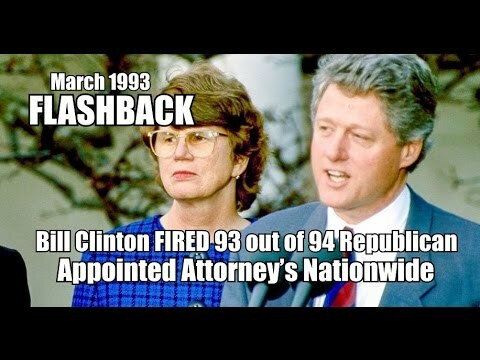 Bill Clinton and Janet Reno were proudincredibly to remove George H.W. Bush’s U.S. Attorneys. But now the tables have rotated, and Sessions is on the other side. More proof of utter hypocrisy from left side. President Trump needs to fire all the liberal judges. He needs​ to clean house and drain the rest of the swamp.